Home > Animal Shelter Volunteering > Animal Fostering > Dog Fostering > Fostering Dogs Questions: How to pick an Animal Rescue to work with? 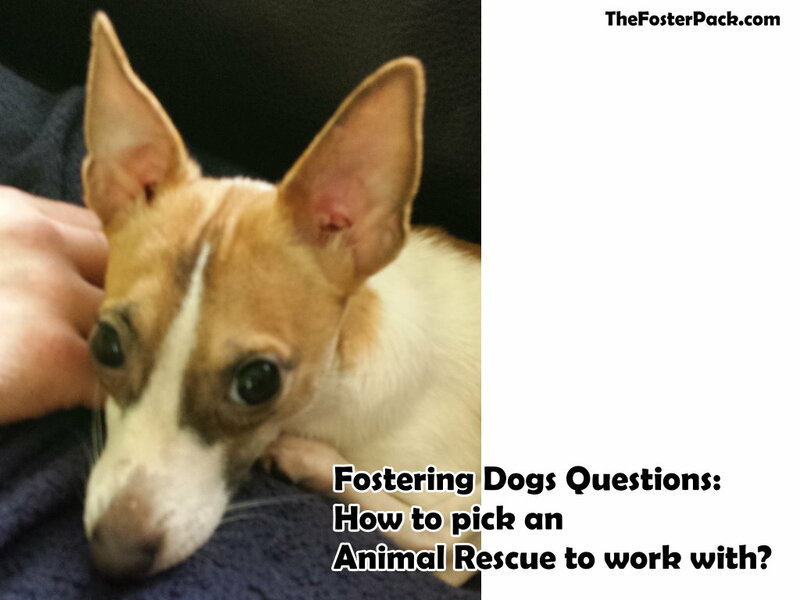 Fostering Dogs Questions: How to pick an Animal Rescue to work with? How do you pick a Shelter or Animal Rescue to work with? This is another question I get asked about quite a bit. My answer: Well, you’re not limited to working with just one animal rescue group. Most groups work together and share some resources, such as us foster families. I currently work with three different animal rescues. The first animal rescue group I started fostering for, was the one that I had adopted my previous two dogs, Rico and Ozzy, from. We’ve since acquired 2-3 more dogs from them, Santana and Pantera. Meaty also started out with this group but was transferred to the shelter with her puppies. She just never went with her babies. Then through working with them, I met the volunteers, directors and foster families from other rescue groups. The first group I got involved with is a dog only rescue, who utilizes only foster homes, as they have no shelter. They also own the only local dog park. Now they have a trainer they work with to hold many different dog training classes at. They also do low-cost rabies clinics, to help more people be able to afford to get their pets vaccinated. They also do low-cost rabies clinics, to help more people be able to afford to get their pets vaccinated. The second animal rescue group I got involved with is a No Kill Animal Shelter, that’s about an hour away from me. I met the director when a litter of my foster puppies was transferred from the first animal rescue group to the shelter. I’ve been fostering for them since shortly after that. They keep my house full of foster dogs, as they are the biggest and highest volume rescue group I work with. I absolutely love the directors of it. Two wonderful women, who have been rescuing animals for decades. This is where our little Monkey came to us through, although I picked her up directly and she never spent any time at the shelter. They truly run a full service No Kill shelter, with many aspects. With low-cost spay and neuter clinics twice a week to help reduce the overpopulation in our area. And to allow most people to be able to afford to have their pets spayed and neutered. Vaccinations are also available at the clinics. When they have room in foster homes, or at the shelter, they work with rescue groups in high kill shelter areas to bring the dogs in from these areas. Although we’re in Northwestern Pennsylvania, a lot of my foster dogs come from West Virginia. The third animal rescue group I work with is pretty new. The two ladies who founded it had been doing it out of their own pockets for quite a while before they became a 501(c)3. They are a wonderful group, focusing on something few animal rescues groups do. Their focus is mostly on TNR (Trap, Neuter, and Return, or Relocation) of community and feral cats. Although they never turn down any animal in need. I’m currently fostering a litter of puppies for them. And they’ve taken in pet bunnies at times too. Fostering Dogs Questions: How did you get involved in fostering dogs?